When searching for weight clinics online, it’s important to review real-life testimonials to determine the best fit for your wellness goals and long-term health needs. Every weight clinic differs in approach but rarely differs in one important category, which is consistent results. At Dr. Urshan’s Health and Weight Loss Center, our individualized weight loss formula addresses the root cause of weight gain and resets your body’s natural desire to torch fat storage for rapid, healthy fat loss. 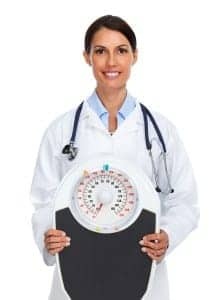 Once you’ve identified that a fad diet no longer enhances your quality of life or advances you towards your fat loss goal, comparing weight clinics for the best patient-physician fit will get you back on track for healthy living**. Unlike other weight clinics, our weight loss system calls for a healthy, balanced lifestyle without the use of pharmaceutical pills, shots or restrictive diets. At Dr. Urshan’s weight clinic, we take the guesswork out of exercise and dieting by targeting the root cause of weight gain, or your fat storage. If a picture says a thousand words, a before and after photo tells the whole story. With success stories from patients throughout the Tampa Bay area including St. Petersburg, Clearwater, Palm Harbor and neighboring regions, it’s no surprise that Dr. Urshan has become the local expert on healthy, attainable and sustainable fat loss. Contact us today to schedule a consultation with Dr. Urshan.